Support the residents of Virginia Beach in their efforts to achieve and maintain optimal levels of health. Mission Provide in home and community based culturally sensitive, family centered services for prenatal to senior populations. 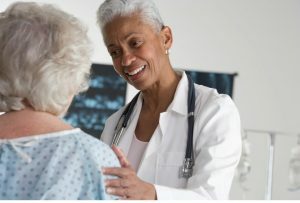 Department of Social Services professionals and Public Health Nurses provide assessments in the home or in a community setting to assist family members that may qualify for Medicaid funded long-term care services. To begin this process, contact the Department of Social Services at 757.385.3550. For follow-up information for assessments currently in process, contact the Virginia Beach Department of Public Health Community Team at 757.518.2762. 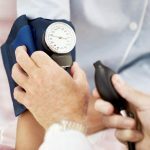 The Senior Services program provides community-based group health education and blood pressure screening services. For more information, contact the Senior Services Program at 757-518-2762. 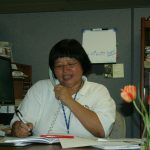 A Public Health Nurse provides telephone consultations, information, and referrals to community agencies and resources for expectant parents and families with young children. program for expectant and first-time mothers and their families. Families enter the program prenatally or within 2 weeks of birth and can receive home visiting services until the child is 5 years of age. The First Steps program has a team of nurses and volunteers that provide telephone support, education and referrals to community agencies and resources for new parents with infants up to three months of age. For Parent Support, a Public Health Nurse provides telephone support, education and referrals to community agencies and resources for expectant parents and families with infants up to three months of age who may have a variety of support needs. Public Health Nurses provide community and home-based services of education, support, and referrals to community agencies and resources for pregnant women, infants, and children up to age five. The Infant Playgroup is for parents with babies up to 12 months of age. The playgroup is facilitated by an early childhood specialist and provides parents and babies an opportunity to socialize with others and participate in developmentally appropriate activities. Do You Have Affordable Health Insurance? Do You Need to Update Your Marketplace Account or Renew Your Marketplace Health Insurance? Do You Want To Change Health Insurance Plans? 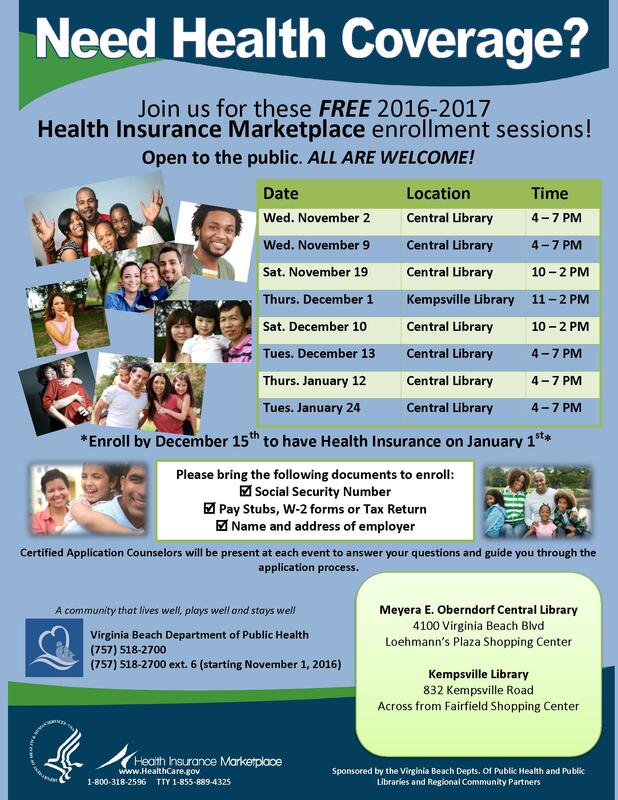 If you want help, come to one of our open enrollment sessions listed below. Certified Application Counselors (CAC) will be present at each event to answer your questions and guide you through the application and enrollment process. You can also call (757) 518-2700 and then press 6 to make an appointment with a CAC or to get questions answered.